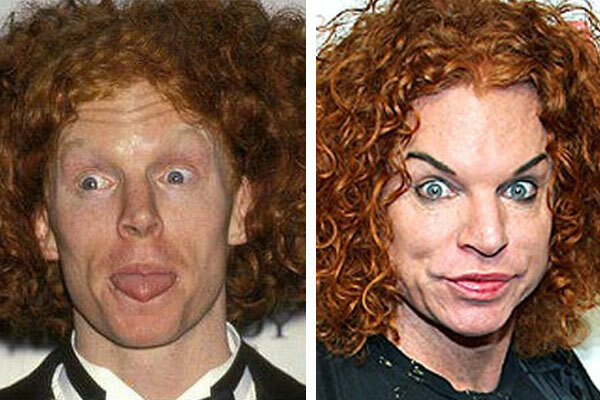 Las Vegas Comedian Carrot Top is definitely a contender for our BAD Plastic Surgery Awards with his freakishly crazy eyebrows and cartoonish like muscles. 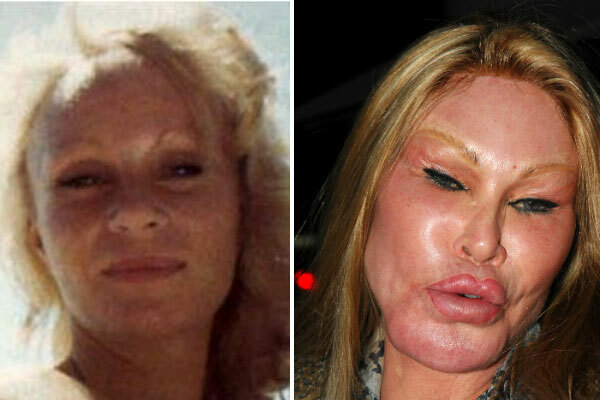 Born Scott Thomas in 1965, Carrot Top has undergone some radical changes to alter his appearance for the worse. 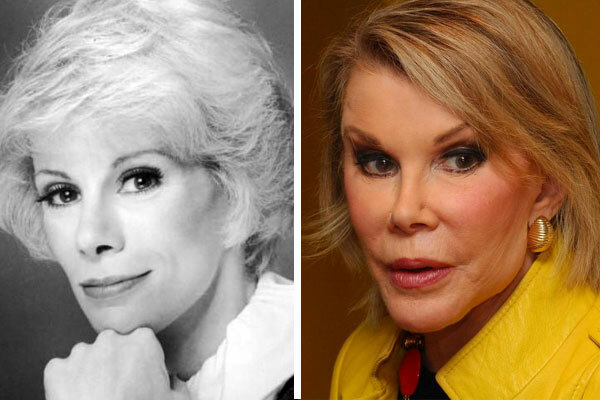 Many have speculated on the cosmetic procedures he’s had such as, botox, brow lift and laser resurfacing, but whatever he’s had done is just emphasized with his choice of unflattering makeup. Although he was born with a naturally slim build, Carrot Top now has the muscles of a body builder with exaggerated shoulders, pecs, and biceps. 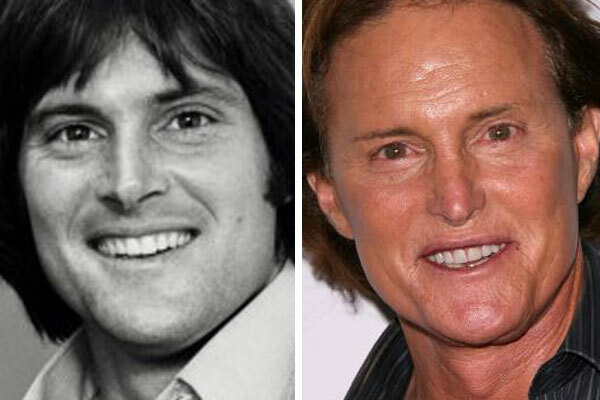 Due to the severity of the changes in his body many have questioned if the comedian has obtained his new look through the use of steroids. 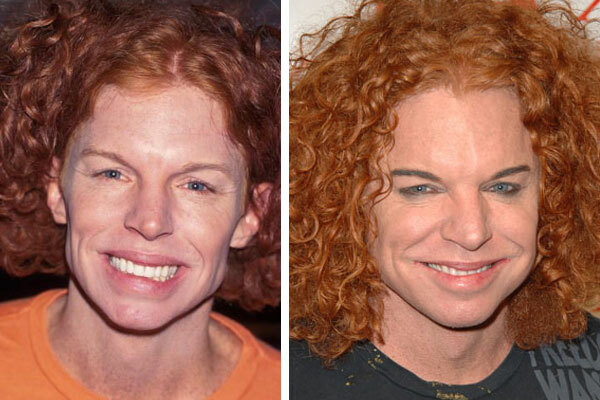 When confronted about the changes to his appearance, Carrot Top only fuels the rumors by joking about it and neither confirming or denying he has had work done. One thing is for certain though, and that is that the funny man has made a living off his jokes and know he has become a walking joke himself.